k8tography - the Challenges: 23/365 - Good Vibrations! 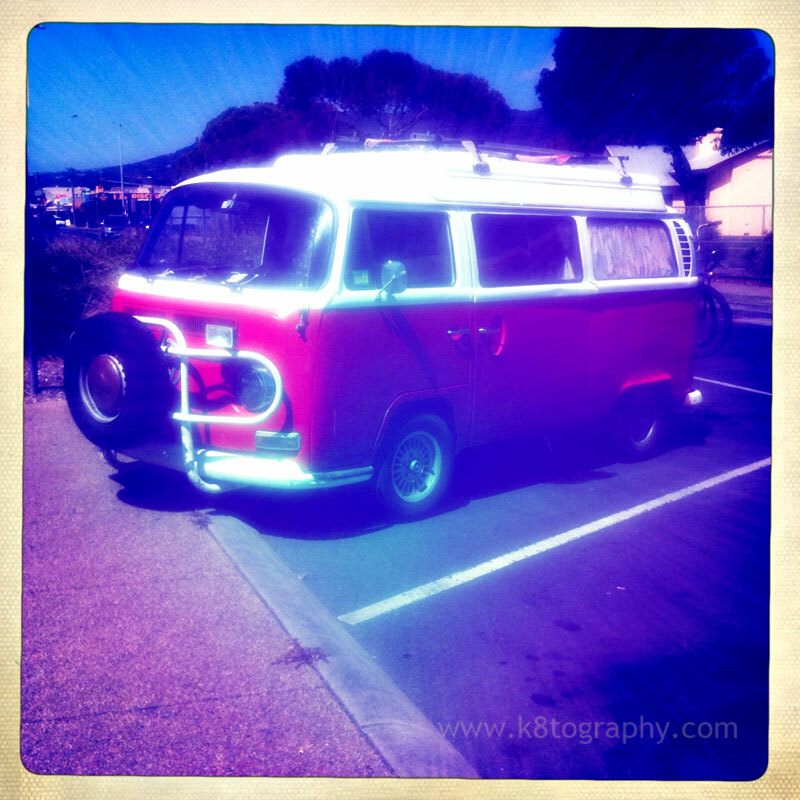 I just love a Kombi and this one, well it is the kind that Dreams are made of! My favourite colours of red and white - I couldn't believe my luck when I saw it in the local car park. I had seen it earlier in the day driving down the road but to see it parked - yippee! I had my iPhone with me so snapped these photos - and it was a double yippee when I saw that they carried two original Malvern Star Dragsters on the back! How totally cool! I wish I could have hung around to see who the owners were! I wonder what they looked like? 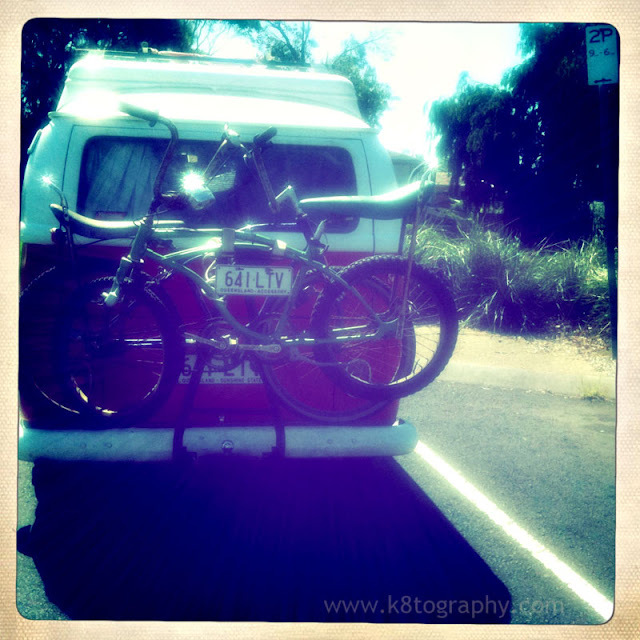 Are they relics from the 70's themselves or young hippy-types who love the style and mode of travel? When I came back passed an hour later, the Kombi was gone...I will never know! Hey Charles - how cool! This was taken in Rosebud Victoria. I am thinking that you were eating out the front of the Fish and Chip shop? How did you find this photo? I just searched in google for red and white kombi, we were at the fish and chip shop, and i remember someone taking a pic of the car, but so many people do i just shrugged it off. The surfboards were inside the car, we had just come from Rye Back Beach. Her name is Betty by the way, and she has served us well over the last 20,000 miles.